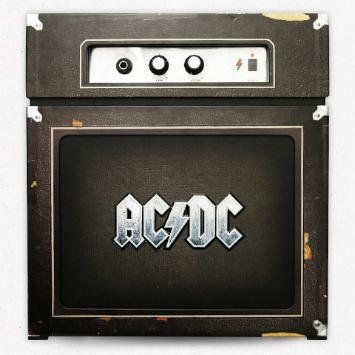 The comprehensive collection of AC/DC’s studio and live rarities, housed in a guitar amp box that actually works, is now available for pre-order at www.acdcbacktracks.com. Columbia Records and Albert Productions proudly announces the release of Backtracks, the ultimate AC/DC collector’s experience, available Tuesday, November 10. Manufactured in an exclusive run limited to 50,000 pieces, the deluxe collector’s edition of Backtracks includes a CD of studio rarities, two CDs of live rarities, the “Family Jewels Disc 3” DVD, the “Live at the Circus Krone” DVD, a front-row immersion in the band’s scorching 2003 club show in Munich, Germany, and a 12″ long-playing album, struck in 180 gram vinyl, of hard-to-find studio tracks. The limited edition Backtracks includes a five-disc media carrier to house and transport the set’s three CDs and two DVDs. In addition the deluxe collector’s edition comes with a 164 page coffee table book and an Original Memorabilia Reproductions Envelope containing an astounding array of facsimiles including the “I DO IT FOR AC/DC” button (the band’s very first tour merch), the 1976 “Lock Up Your Daughters” tour flyer, the Dirty Deeds Done Dirt Cheap recording track sheet, a 2′ x 3′ 1977 Let There Be Rock European Tour poster, a Bon Scott parrot tattoo replica, an AC/DC logo guitar pick, an Australian Money Talks dollar, three b&w fine art lithographs of never-before-seen photos of the band in the Alberts Studio in 1977 and more. The AC/DC deluxe collector’s edition of Backtracks comes housed in a fully operational AC/DC guitar amplifier. The limited and numbered deluxe collector’s edition of Backtracks will be available direct-to-consumers exclusively through the website www.acdcbacktracks.com with full details on pre-ordering going live on the site on Tuesday, September 29. The three-disc standard version of Backtracks distills the electrifying essence of the deluxe set into one CD of studio rarities, one CD of hard-to-find live tracks, and the indispensable “Family Jewels Disc 3” DVD.